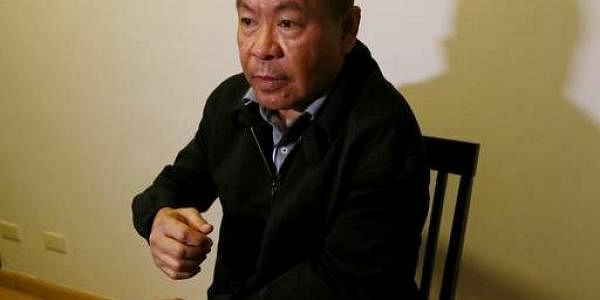 A retired police officer who linked the Philippine president to hundreds of extrajudicial killings said he's ready to testify international courts. MANILA (PHILIPPINES): A retired police officer who linked the Philippine president, when he was mayor of a southern city, to hundreds of extrajudicial killings in a local anti-drug crackdown said Thursday he's ready to testify in domestic and international courts and help authorities gather evidence of the slayings he says he and other assassins carried out. Arturo Lascanas told The Associated Press in an interview that the campaign he and others allegedly conducted on orders of then Davao City Mayor Rodrigo Duterte was "95 percent" similar to the bloody anti-drug crackdown currently unfolding across the Philippines under Duterte, now president. The present nationwide crackdown, which has left thousands of mostly poor drug suspects dead, has alarmed the United States and other Western governments and U.N. human rights officials. U.S.-based Human Rights Watch has said Lascanas' allegations linking Duterte to past killings heighten "the urgent need" for an independent U.N. investigation. Lascanas, 56, linked Duterte to the Davao killings in testimony at a nationally televised Senate inquiry this week. Last year, Lascanas, then still an active police officer, denied under oath any knowledge of or involvement in the Davao killings in an earlier Senate inquiry. He told the Senate on Monday that he lied last year because he was afraid for his family. Senators, including some Duterte allies, expressed doubts about his new allegations amid his turnaround. Philippine presidents are accorded immunity from lawsuits, but critics say the claims made by Lascanas could be used in an impeachment complaint or when he steps down from office. An opposition senator, now jailed over drug charges she says are politically motivated, has challenged Duterte's immunity in a landmark case before the Supreme Court. Duterte has denied condoning unlawful killings, but has repeatedly threatened drug lords and dealers with death in public speeches. "There is no destroying if there is no killing," Duterte said in a speech in Davao City late Thursday, adding that he only ordered law enforcers to shoot back when threatened and that he is ready to go to jail for his men. Lascanas said he is ready to testify in an international investigation or in a local court against Duterte and others allegedly involved in the killings in Davao, where he estimates about 300 drug suspects were killed by his group alone over more than two decades, starting when Duterte became mayor in the late 1980s. A few years after his group of police officers, former communist rebels and other gunmen launched the killings in Davao, about nine other similar bands of assassins, collectively known as the "Davao Death Squads," were formed in many districts of the city, considerably inflating the death toll, he said. "My testimony is very incriminating to me," said Lascanas, who added that he is ready to be convicted or even lose his life for involvement in the killings of about 150 of the 300 people gunned down by his group of about 50 hit men. "It will have no relevance if I will not expose this to the whole world and it won't get acted upon so ... this will no longer happen again to the next generations of police and local government units," he said. Lascanas said the government Ombudsman, who prosecutes government officials accused of corruption and other crimes, has asked him to submit an affidavit of his allegations against Duterte. He and his lawyers are preparing the statement, which could be submitted as early as Friday, he said. Lascanas said he could lead investigators to places in a quarry in Davao where he and his group buried some of their victims. He said some officials might try to dig up the bones to protect Duterte, but that he and a few other killers were the only ones who knew some of the burial sites in the vast area. The large monthly allowances and cash rewards given to him and other gunmen, allegedly from Davao government funds under Duterte's control as a mayor, could be investigated in relation to the killings, he said. Lascanas said at least two other gunmen involved in the killings might be convinced to publicly back up his allegations and those of another self-confessed killer, Edgar Matobato, who was the first to come out in the open last year and accuse Duterte of being linked to the Davao deaths. He said the Davao City crackdown initially targeted drug suspects and criminals, but the targets later included Duterte's political opponents and critics, including two hard-hitting radio commentators. As an insider who was involved in the killings and saw how the Davao crackdown spun out of control, Lascanas warned that a disaster awaits the country if the current killings are not stopped.